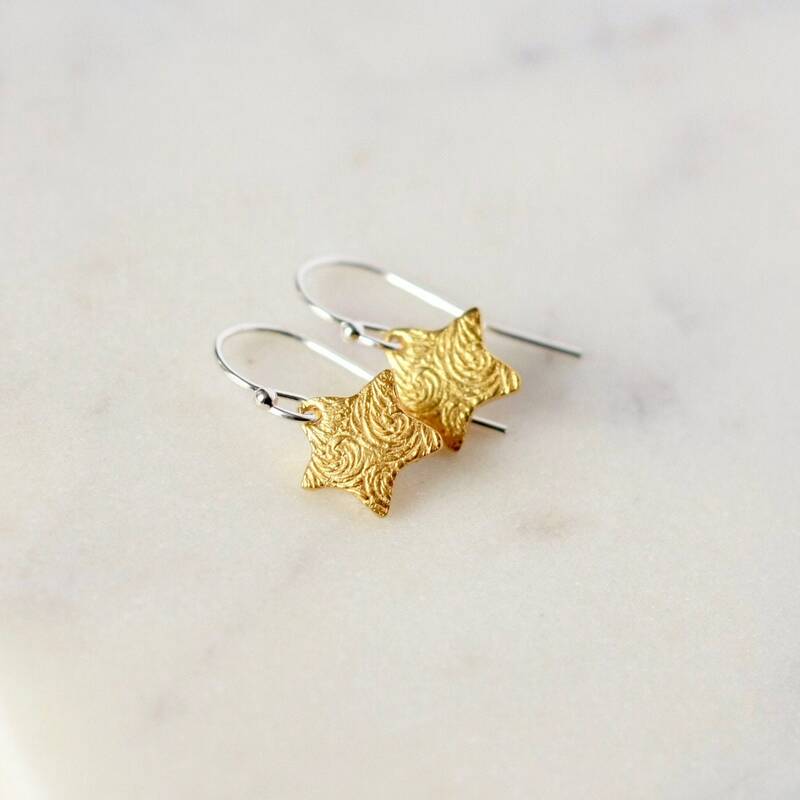 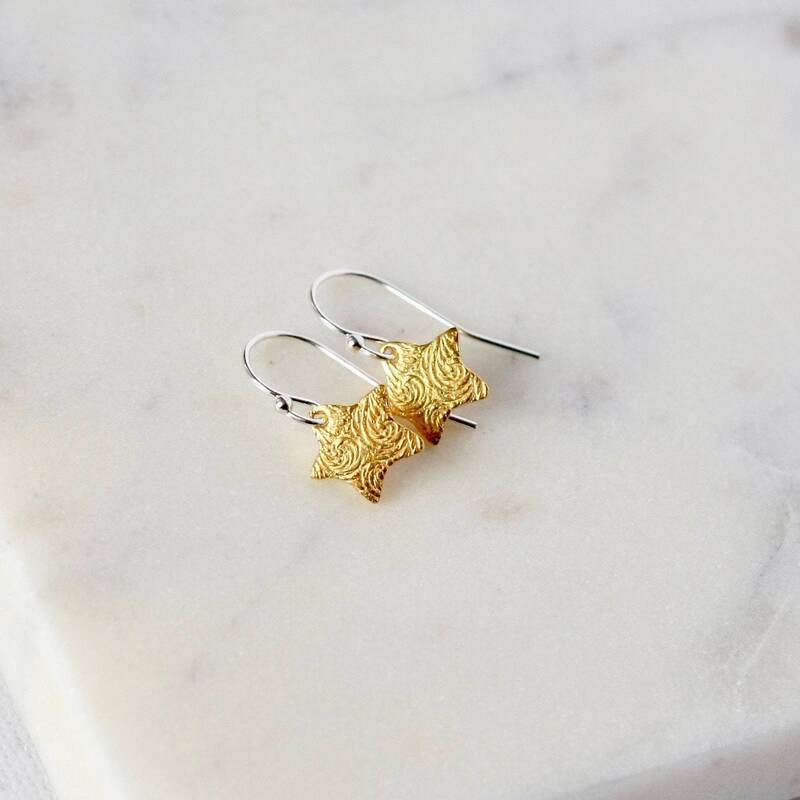 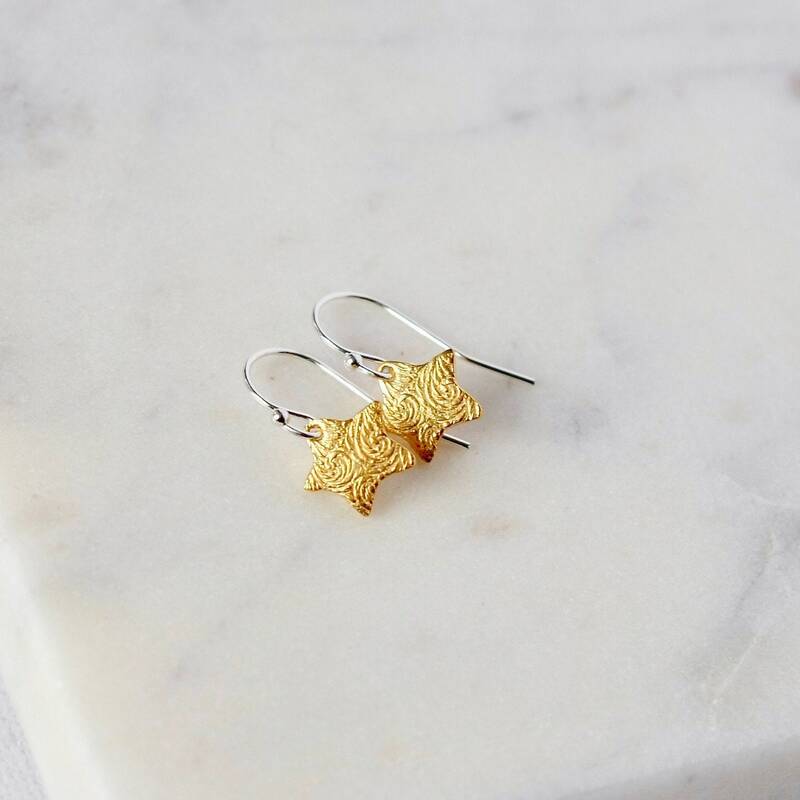 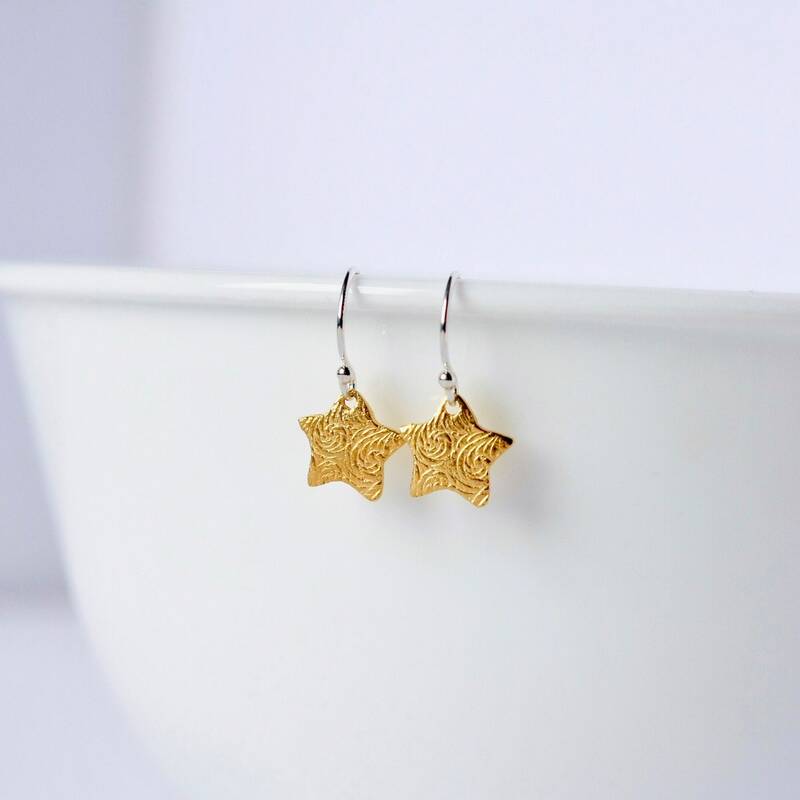 These sweet little celestial earrings feature bright and shiny gold vermeil stars dangling from sterling silver ear hooks. 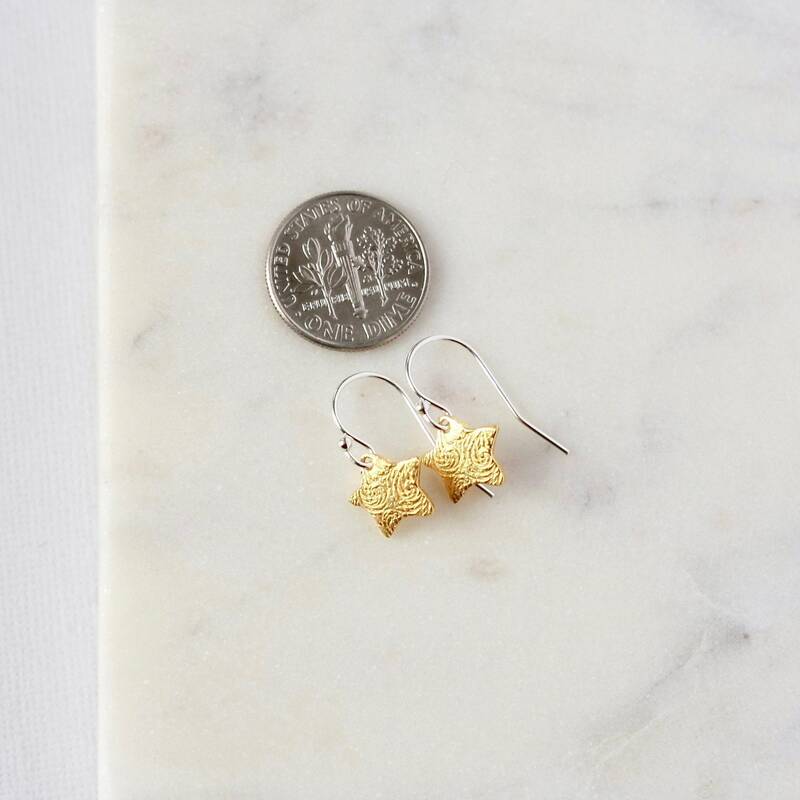 The stars have a beautiful texture to them and are dainty and petite at about 9mm across. 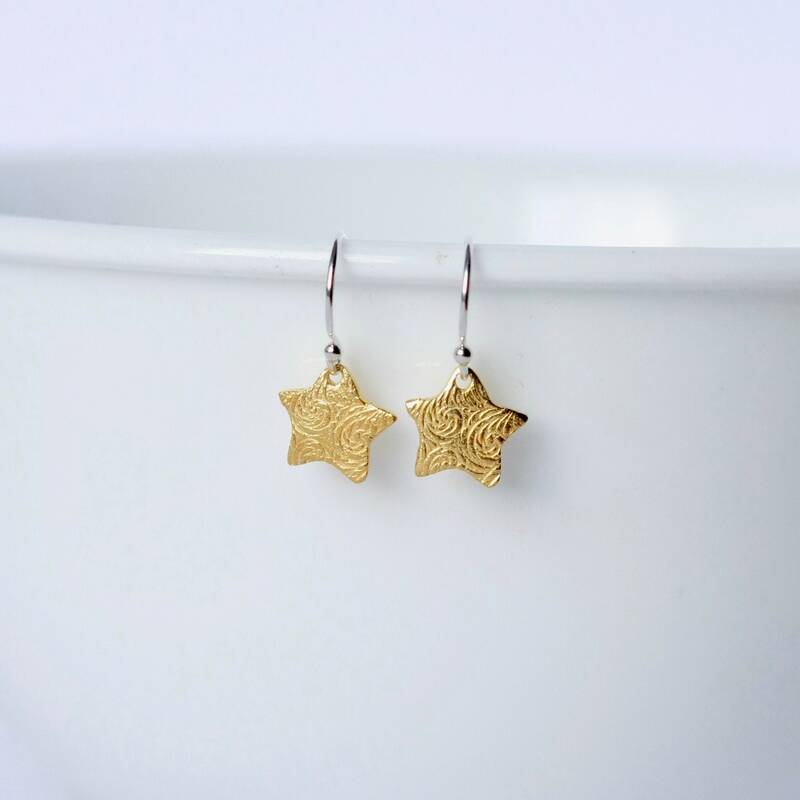 The earrings hang about 3/4 of an inch from the top of the ear hooks - a perfect size for everyday wear!